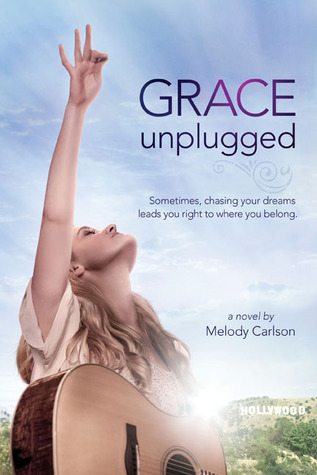 Double Review: Grace Unplugged&Own It by:Carlson/DiMarco | A Simple Life,really?! Grace Trey is just like any other young girl. She sees her dreams ahead of her and she is ready, willing and able to just reach out and grab it. But another thing I noticed about her was that she kind of doesn’t think her parents have really “been there and done that”. Which that in itself is not a good sign for a girl ready to jump out and capture the world that is just out of her reach. So join us as we take a journey with her through the “hard knocks” of her life to see what happens to this young girl and her dreams. This book is being turned into a movie that will premier on October 4, 2013. This book is a brilliant concept. It raises the question, your faith, where did it come from? Did it come from your parents? Are you borrowing it? Are you faking it? This book forces you to make a choice. A choice that can change your life forever. Do you get up on Sunday mornings just going through the motions? Are you one of those Sunday Christians? Or are you only a Christian when it suits you? 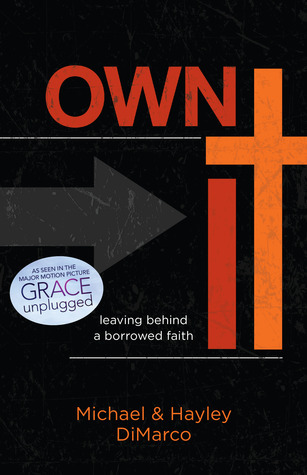 This book forces you to reflect on just what you are doing to own it? To own your faith. To figure out what God is all about and to create or recreate that hunger to know Him more intimately. Now is you chance to own both of these great books. One winner will receive both of these awesome books for their very own. Good Luck! **Disclosure** These books were sent to me free of charge for my honest review from Flyby Promotions.